Photos, video and case details provided by Dr. Robert Jones’ clinic. If you are losing your hair, contact Dr. Jones’ clinic for a free consultation and see what options you have. 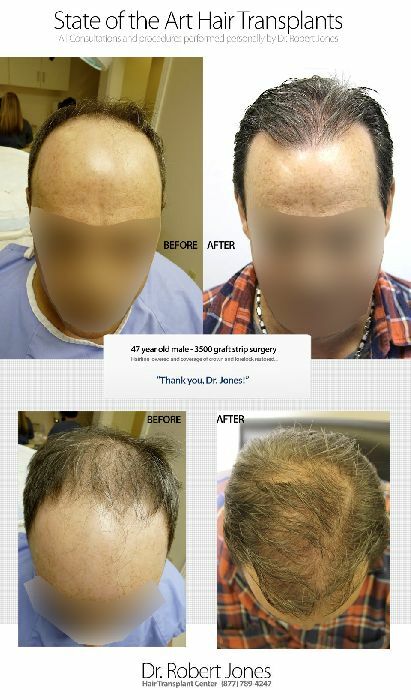 You can send Dr. Jones an email at info@drrobertjones.com, please include your age and the degree of your hair loss. You may also attach photos. To contact Dr. Jones by phone, please call 1-877-789-4247.